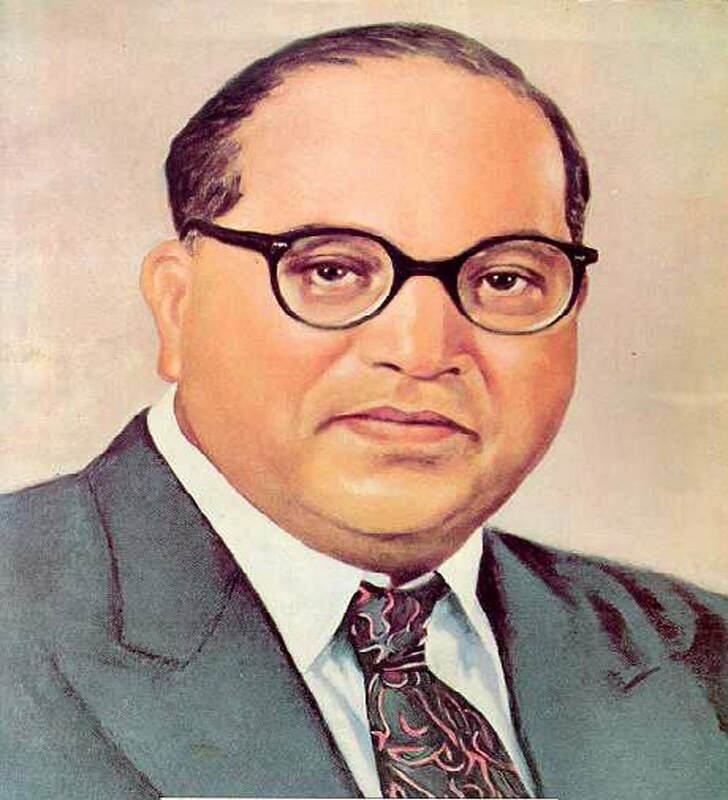 Bhim Rao Ambedkar attributed the social repression and degradation of the Dalits to the theory of Chatur Varnas. He challenged the authenticity of this theory of social stratification by making full use of an inter- disciplinary perspective. B.R. Ambedkar (1891-1956) fits squarely in the organic category as he was the ideologue and leader of the Dalits of India, who had been suppressed and regarded as untouchables for thousands of years by upper-caste Hindus. The Dalits are an economically deprived class because, as landless agricultural labourers, they have been subjected to exploitation and repression by the feudal class in the rural areas and as industrial and non-agricultural labourers of other types by the traders, money lenders, industrialists and other professional groups in the urban areas. Ambedkar was able to achieve his iconic status because of his best-possible education. After graduation from Bombay University, he received Masters and Ph.D degrees from the prestigious University of Columbia, in America and M.Sc. and D.Sc. degress from the reputed British University of London. Besides, he obtained Bar-at-Law degree from the famous Gray's Inn in England. Although he had specialised in economics and law, he also studied history, anthropology, sociology, psychology and political science to develop an inter-disciplinary perspective for a proper understanding and analysis of the Dalits of India. Ambedkar discovered that social repression and degradation of the Dalits could be mainly attributed to the theory of Chatur Varnas invented by Manu in the ancient times to establish the supermacy of the Brahmins, the Kshatriyas and the Vaishyas over the Sudras. This theory of social stratification had the sanction of the religious texts of the Hindu religion. He challenged the authenticity of this theory by making full use of his inter-disciplinary perspective. To substantiate the rejection of this inegalitarian and retrograde theory which legitimised inequality and untouchability and prohibited social mobility of the Sudras to the higher Varnas, Ambedkar wrote his famous books — Annihilation of Caste (1936); Who were the Sudras? How They came to be the Fourth Varna in the Indo Aryan Society (1946); and Untouchables: Who are They and how They became Untouchables (1946). Through these writings, he was able to prove that initially there were only three Varnas — the Brahmins, the Kshatriyas and the Vaishyas. The fight between the Brahmins and the Kshatriyas for dominance resulted in the creation of the fourth Varna and culminated in the repression of Dalits. Ambedkar felt the need for the separate electorate for the Dalits in the same manner in which these had been granted by the colonial administration to the Muslims in 1909 and to the Sikhs in 1919. He had no option but to make this demand as the Dalits stood no chance of getting elected from the general constituencies as the representation from these was monopolised by the upper castes. This forced Ambedkar to insist on the separate electorate for them at the Round Table Conferences held in London in 1931. The British government conceded this demand in the Communal Award of 1932. But Ambedkar decided to drop it after the Poona Pact to save the life of Gandhi, who had undertaken a fast unto death against the Communal Award. The Pact provided for the reservation of seats for the Dalits out of the general constituency allotted to the Hindus. The views of Ambedkar on this issue were explained in his books — Mr Gandhi and Emancipation of the Untouchables (1943) and What Congress and Gandhi have done to the Untouchables (1946). After Independence in 1947, Ambedkar agreed to become Chairman of the Drafting Committee of the Indian Constitution to safeguard the Dalit interests. He played the most prominent role in making provisions for “protective discrimination” to improve the lot of the Dalits and in the abolition of untouchability. He ensured the reservations of seats in the legislatures at the national and the state levels and in the recruitment of jobs in the government services and for admission to educational and technical institutions for them. He also agreed to join the Central government as the Minister of Law so that he could further their interests. But when he felt that the holding of this office was proving to be a hurdle in the way of his mission of organising them, he resigned and founded a political party, the Scheduled Castes Federation. Subsequently, he named it as the Republican Party of India. These parties could not achieve much electoral success. However, the forces unleashed through the efforts of Ambedkar succeeded in making social justice as a major issue in the political agenda of the contemporary Indian politics. Besides, the foundations laid by him helped in the emergence of conditions in which the Dalits could not only assert their identity but also demand their due share in the power structure at the national and the state levels.